Fitting a new shaft for your club takes a bit of work but will help your game. The game of golf can be frustrating, and many of us choose to blame our frustration on our equipment. If you've reached that point and decided that a shaft replacement is exactly what your game requires—or maybe you snapped one off in anger—this simple step-by-step guide is all you need to replace your golf club shaft in short order and get you back on the links in no time. Remove the old shaft. If there is an existing or broken shaft on the club, the first step is to remove it. You need to break down the epoxy bond between the shaft and the head. To do this, you need to provide even heat to the hosel (where the club head attaches to the shaft). This can be achieved by using either a torch or a heat gun. Place the shaft in a vice so that it is held firm. Using a torch or heat gun, apply even heat to the hosel area until you can twist the head off the shaft (this generally takes about a minute). The hosel can reach temperatures in excess of 1,000 degrees F. Always wear work gloves when removing the shaft from the club head. Remove epoxy from the hosel. When you remove the shaft from the club head, there will be epoxy residue in the hosel. This needs to be cleaned out to form a solid bond when the new shaft is inserted. There are two ways to remove the old epoxy: hosel cleaner or a round file (hosel cleaner is less time consuming). Once you've cleaned the hosel, apply some acetone to the inside of the hosel to remove grease and debris. Prep the new shaft. Measure the depth of the hosel and then mark this depth on the shaft. Note: When prepping the new shaft, always follow the manufacturer's recommended tip trimming guidelines. Should you be installing a graphite shaft, be careful that the graphite doesn't splinter, as this will weaken the shaft. Wrapping the shaft above your cut line will help prevent this from happening. Before installing, you need to remove the paint from the tip of your graphite shaft (plating in the case of a steel shaft). Use a razor knife to remove paint from a graphite shaft and heavy-grit sandpaper when dealing with steel. Install the new shaft. Apply epoxy to the entire inner surface of the hosel (be generous with how much you use). Immediately apply epoxy to the end of the shaft. Insert the shaft into the hosel and gently turn it on to the club head. When installing a graphite shaft, check to be sure that the graphics are lined up. Take a soft rag and some acetone and clean all remaining epoxy residue from the hosel. Let the epoxy set for approximately 12 hours. 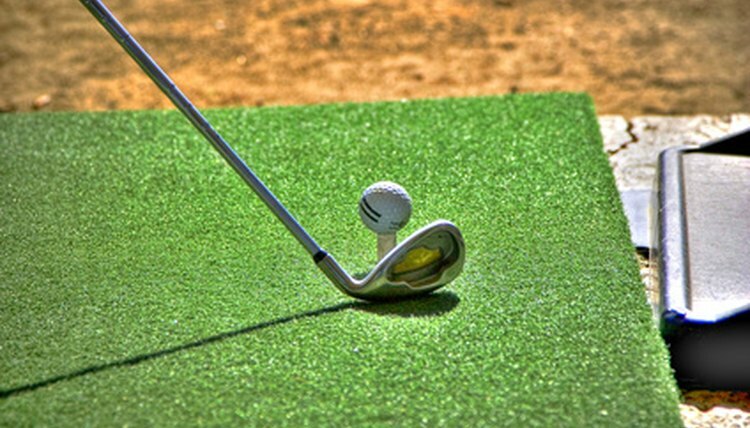 Place the club in a standing position until it is fully cured.